(Reuters) - In addition to Special Counsel Robert Mueller and other federal prosecutors, several U.S. congressional committees are pursuing investigations focusing on President Donald Trump, looking at questions regarding Russia's role in the 2016 presidential election as well as the Republican president's finances. Democrats took control of the House of Representatives in January, giving them new investigatory powers including the ability to issue subpoenas. Republicans control the Senate. Mueller is due to submit to U.S. Attorney General William Barr a report on his investigation into whether Trump's campaign conspired with Russia and whether the president unlawfully sought to obstruct the probe. 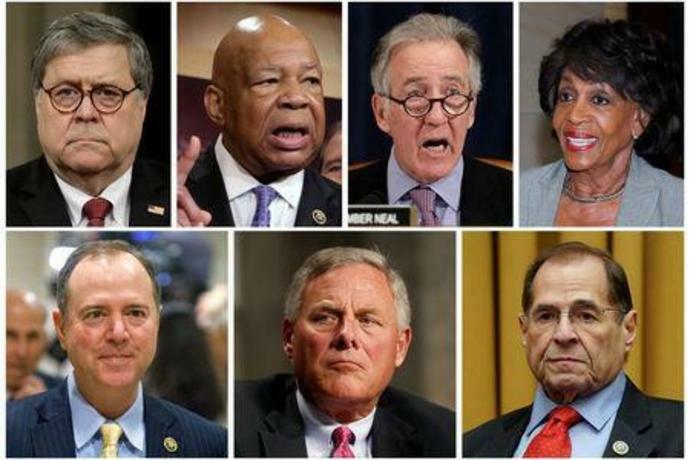 Mueller's findings and those of the congressional committees may influence whether Congress seeks to impeach Trump and remove him from office. Here is a look at some of the work of congressional committees. 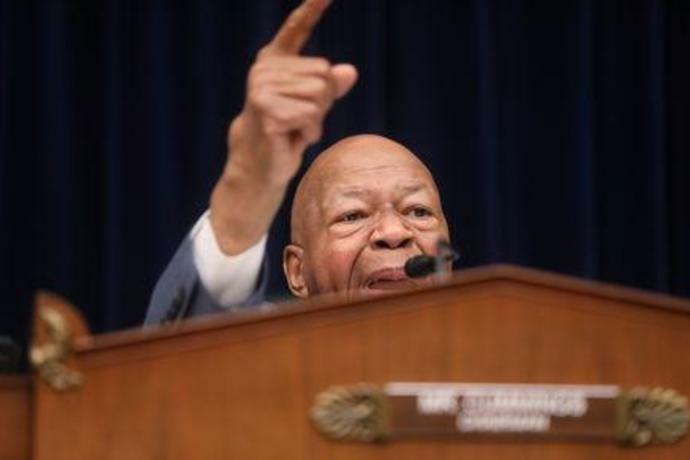 This committee, under Democratic Chairman Elijah Cummings, possesses wide-ranging oversight authority. The committee on Wednesday became the first congressional panel this year to hold a public hearing involving a key player in the issues surrounding Trump, his former longtime personal lawyer Michael Cohen. The hearing produced new allegations of wrongdoing by Trump including after he took office in January 2017. Cohen himself has pleaded guilty to lying to Congress and other charges and is due to begin serving a three-year prison sentence on May 6. His allegations included that Trump knew in advance that the WikiLeaks website would release Democratic emails that U.S. officials have said were stolen by Russia to harm Democratic candidate Hillary Clinton. Cohen also said Trump directed the plan to pay "hush money" ahead of the election to an adult movie actress who has said she had a sexual encounter with him. Cohen provided the committee with documents including a check to him signed by Trump that the former lawyer said was to reimburse him for the payment to Daniels to buy her silence. Cummings said the committee may try to get the president's son, Donald Trump Jr., and his former accountant, Allen Weisselberg, to testify in light to Cohen's statements. The committee also has demanded that the White House comply with requests for documents and witnesses for an investigation it launched in January into security clearance issues involving Trump's son-in-law Jared Kushner and others. This committee, whose chairman is Democrat Adam Schiff, oversees U.S. intelligence agencies. It aims to examine the scope of Russian influence in U.S. politics, potential collusion between Trump's campaign and Moscow and whether any "foreign actors" hold leverage over Trump, his family, his business or his associates. Schiff has said he will subpoena Mueller's complete final report on his investigation if it is not given to Congress. Schiff also has said he will call Mueller to testify if necessary. There was partisan bickering on this committee when Republican Trump ally Devin Nunes was its chairman before Democrats took control in the House in January. Trump has often criticized Schiff including in a Twitter post misspelling the congressman's name to sound like an expletive. The committee will hold a public hearing on March 14 to hear testimony from Felix Sater, a Russian-born property developer and former Trump business associate, about efforts to build a Trump tower in Moscow. Sater worked with Cohen on the project while Trump was running for president. Sater has said he and Cohen talked about giving a $50 million penthouse to Russian President Vladimir Putin as a way to justify raising the prices of other units in the tower, which was never built. Cohen is scheduled to return for another closed-door appearance before the panel on March 6. Like its House counterpart, this committee also oversees U.S. intelligence agencies. In a rare bit of bipartisanship in a Congress with deep partisan divisions, Republican Chairman Richard Burr and senior committee Democrat Mark Warner have been conducting an in-depth look into Russia's role in influencing U.S. elections. While they have worked in a collaborative way, Burr has said he has not yet seen "anything that would suggest there was collusion by the Trump campaign and Russia." Warner publicly disagreed with Burr and cautioned against any conclusions until the investigation was finished. This committee, which oversees taxes and the Internal Revenue Service, is studying ways to obtain Trump's tax filings. Trump previously has refused to divulge the tax documents, citing an IRS audit. U.S. presidents and presidential candidates for decades have routinely made their tax filings public in order to be transparent about their personal finances. Committee members have raised questions about whether the tax returns could reveal whether Trump had any income related to investments or other business dealings with Russia or other countries. The committee's chairman is Democrat Richard Neal. Democratic Chairwoman Maxine Waters wants to investigate Trump's ties with Deutsche Bank AG, one of the world's largest financial institutions, as well as information about potential Russian money laundering through the bank. This committee oversees the financial services industry including banks. When Republicans controlled the panel, they refused Waters' requests to subpoena records held by the bank, which maintained that privacy laws prevented it from providing information without subpoenas. The Senate Intelligence Committee also has expressed interest in looking into Deutsche Bank documents. The committee, whose chairman is Democrat Jerrold Nadler, oversees the U.S. Justice Department and federal law enforcement agencies. It has investigators combing through court documents related to Mueller's filings to determine potential topics for committee hearings. The panel is focusing on the numerous contacts Trump's campaign had with Russia during the 2016 presidential race. The panel also intends to look into whether previous testimony given to Congress and federal investigators by figures associated with Trump has been false or misleading. Nadler also is expected to subpoena the Mueller report if it is not released.